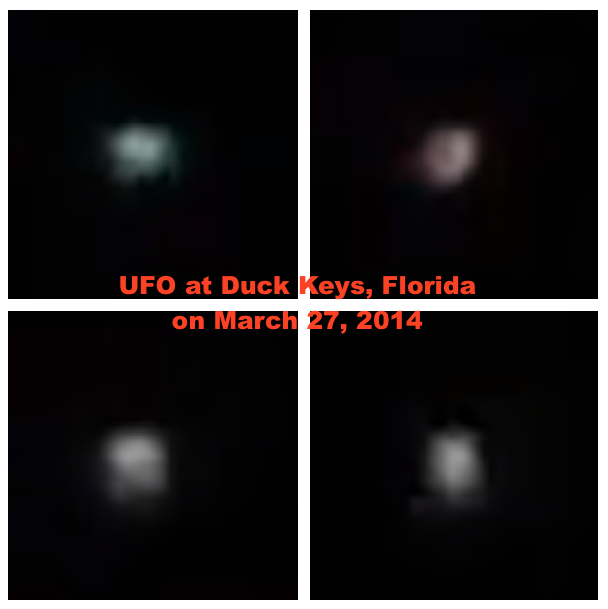 UFO SIGHTINGS DAILY: Glowing Orb Seen Over Duck Keys, Florida On March 27, 2014, VIDEO, UFO Sighting News. Glowing Orb Seen Over Duck Keys, Florida On March 27, 2014, VIDEO, UFO Sighting News. I we are out on the boat dock Hawks / Duck Key's FL, on 27 Mar 2014. I have NEVER seen anything like this before!! I have about 6 videos that I would love an explanation. FYI, I am a vet with the US Army.